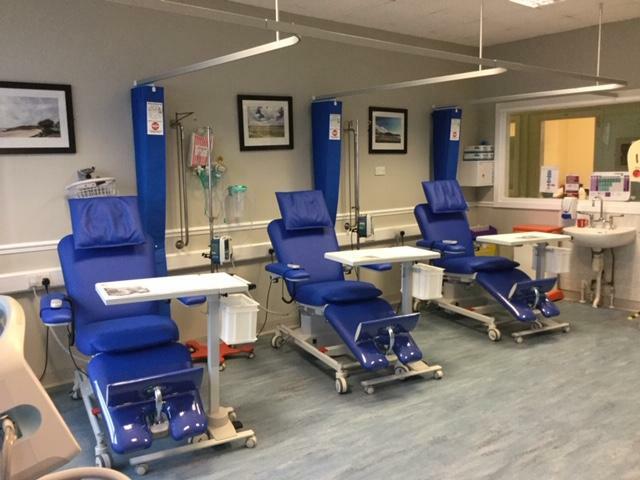 We are pleased to let you know that just before Christmas 2018, Ward 11 was able to take delivery of 12 new oncology chairs in the two treatment rooms. 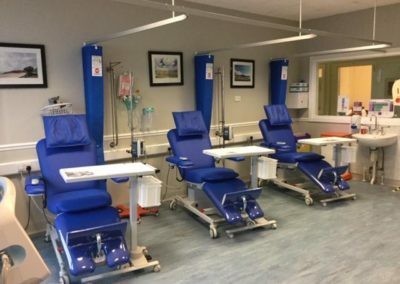 The chairs were funded by LLMF, a project cost of £50,000. 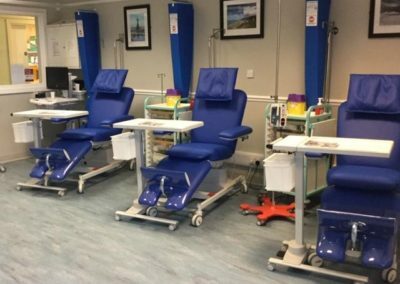 As many of you will know, day patients are treated for a variety of blood cancer conditions, by a highly qualified specially trained nurse. Patients sometimes have to remain in a chair for up to 8 hours in order to receive blood transfusions, drug infusions and other forms of treatment, so comfort for the patient and practicality for the specialist nurse are very important. 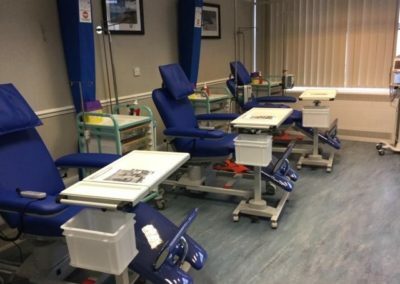 The ward did see various chairs for trial before settling on their choice. Each of these chairs is accompanied by a patient serving trolley and a drugs drawer enclosure.